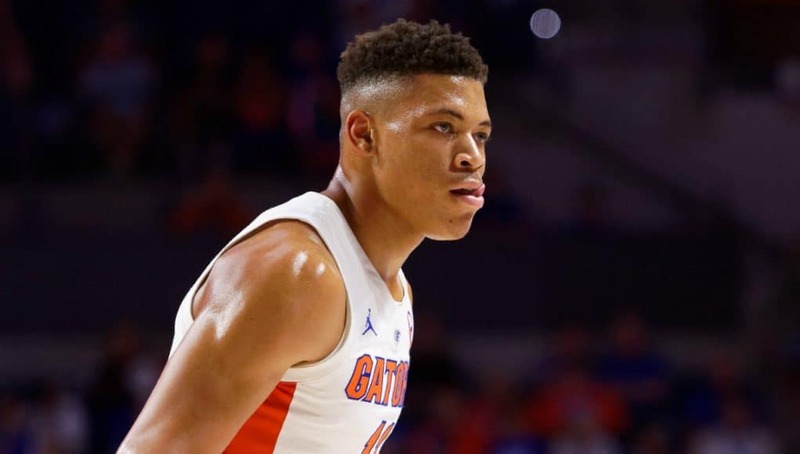 The Gators took a step in the right direction on Thursday night with a decisive 72-49 win over Stanford advancing them to the finals of the consolation side of the Battle 4 Atlantis bracket. Deaundrae Ballard was feeling it on the perimeter for the Gators with 17 points while Noah Locke also had a pure stroke going with 11 points on 3-6 three-point shooting. 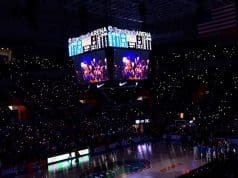 Florida set the tone defensively early only allowing 13 Stanford points in the first half and the hole they put the Cardinal in was too much for them to climb out of. They now wait to face the winner of Butler and Middle Tennessee State with Butler being the heavy favorite to win. The Gators built off a 40% 3-point stroke against Oklahoma with an even better 46.7% (7-15) tonight, seemingly completely unbothered by the weird elements of the court that usually wreaks havoc on shooters. Noah Locke (3-6) and Deaundrae Ballard (3-5) were particularly hot and it helped the Gators offense as they were threats from deep. A major contributor to Florida’s success tonight was their ability to pressure the basketball and come up with steals. Dispossessing the Cardinals 15 times tonight it allowed the Gators a lot of extra possessions and a lot of easy transition opportunities. KeVaughn Allen was the ringleader of the steals brigade with 4 while Keith Stone and Keyontae Johnson each contributed 3. After a rough start to the season redshirt senior Jalen Hudson was relegated to the bench to start this one and didn’t get in for much action only playing 7 minutes with 4 of them coming with the game essentially out of reach for the Cardinal. Creating offense has always been his number one skill with defense taking a backseat and with his shots not falling Coach White decided to let him watch most of the game from the bench to give him a new perspective of the game. Noah Locke received most of his minutes and as we saw he made the most of them. We’ll have to see what role Hudson plays tomorrow in the final game of the Battle 4 Atlantis. 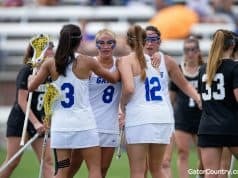 Defense was the story for the Gators as indicated by their 49 points allowed, 15 steals, and 37% from the field allowed. Stanford even went on a bit of a run in garbage time to help out their field goal percentage as for most of the game they were in the mid-twenties. Deaundrae Ballard, Keyontae Johnson, and Noah Locke were excellent at the front of the press while Keith Stone and Kevarrius Hayes showed their experience in the frontcourt. 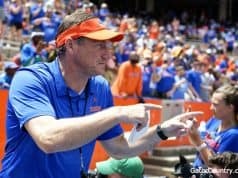 Stanford is not a great offensive team by any stretch but it was still good to see the Gators’ defensive intensity dominate a basketball game. Offense has been the issue for the Gators this season but they might have started to make some steps in the right direction with an efficient 51.8% shooting night from the field. The 72 points might not look like a massive amount for the Gators but the slow pace of the game limited their possessions so the 51.8% field goal efficiency is probably a better indicator of how things went offensively. This is also two games in a row where they’ve shot the three well and hopefully that keeps up as they move throughout the non-conference schedule.